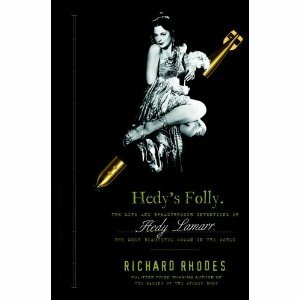 So I see that Richard Rhodes is coming out with a new book about Hedy Lamarr and the invention of spread spectrum communications: Hedy’s Folly: The Life and Breakthrough Inventions of Hedy Lamarr, the Most Beautiful Woman in the World. Rhodes is known for his magisterial series on nuclear weapons – “The Making of the Atomic Bomb”, “Dark Sun”, “Arsenals of Folly” and “Twilight of the Bomb” – but this story is much juicier. It describes how the über-glamorous actress fled her munitions-maker husband in Vienna in 1937, made a huge splash in Hollywood, and collaborated with an avant-garde composer, George Anthiel, on a jam-proof way of communicating by radio with torpedoes in 1941. They did it by constantly changing the frequency of the transmitter and receiver, with each one having the pattern of changes on a player piano roll. It was a paper-based ROM! This kind of frequency hopping is the kernel of Code Division Multiple Access (CDMA), an elegant method of allowing multiple transmitters to share the same frequency band without interference that’s now in quite wide use. This story is hard to resist, and has gotten a lot of play since the Lamarr and Antheil patent was discovered in the 90s. Lamarr was honored by the Electronic Freedom Foundation with an award for it in 1997, but Antheil died in 1959. From the accounts I’ve read, though, Lamarr’s technical talents have been exaggerated. She doesn’t seem to have ever done anything else. The bulk of the idea has to do with the player piano rolls, which was a specialty of Antheil’s; he had used a set of synchronized player pianos in a composition of the 1920s. Lamarr’s own memoir “Ecstasy and Me: My Life as a Woman” (1966) doesn’t mention anything about torpedoes or radio. It’s possible that it was classified, but there’s also no mention of Antheil. It could be that Antheil added her to the patent in order to get attention. The idea itself was also described in an earlier patent, 1598673 “Secrecy Communication System”, from 1926. That patent was already being referenced by 1945, while Lamarr’s wasn’t referenced until 1989, long after spread-spectrum was in regular use. Also, the key to the later success of spread-spectrum was in the method by which a receiver can synchronize with the transmitter’s pattern without a common time base, and that wasn’t covered by this patent. So there may less here than meets the eye. If anyone can fill out the story, though, it’s Rhodes, so the book is likely to be fun regardless. Lawrence hit it big early, with roles in 1906. 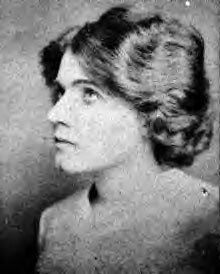 She was a star at several studios, and was known as the Biograph Girl in the days before they promoted actresses, but was badly burned in a set fire in 1915. She recovered, but her career didn’t, and after going through several husbands she committed suicide in 1938. She got one of the early cars in 1913, and came up with a turn signal for it consisting of a lever attached to the rear bumper that would rise when a button was pressed on the dashboard. She also devised a brake signal that would raise a STOP sign when the brake pedal was pressed. She didn’t patent them, though, and her versions didn’t get adopted. Newmar is best known for playing Catwoman in the 1960s Batman TV series, as well as other hot babe roles such as Stupefying Jones in “Lil Abner” and Rhoda the Robot in “My Living Doll”. At 5’11” she could hardly play ingenues! By the time she turned 40 in 1973, such roles were gone, so she turned to other interests. She invested successfully in LA real estate, had a six-year marriage to a lawyer, and bore a son. She invented this pantyhose and bra scheme, and marketed them in the 70s and 80s as Nudemar. There’s a spectacular picture of her modeling them in an ad in People magazine, but I’ll let Google find it for you. Of all the inventions described here, this was the only one that actually went anywhere, since they sold for a number of years. Her patents expired long ago, so they may be standard lingerie features by now. Curtis debuted as the heroine of “Halloween” in 1978, and then had a series of roles in horror movies as the final girl. Her peak parts were in “A Fish Called Wanda” (1988) and “True Lies” (1994), but she has had a steady series of good roles in movies and TV right up to the present. 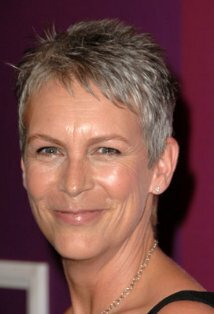 She and her husband, the comic and British lord Christopher Guest, adopted their first child in 1986 and their second in 1996. She had her patent idea when her kid was one, and a very sensible idea it is too. Having a wipe always available with the diaper would be hugely convenient on trips. She refused to license it, though, until diaper makers started making biodegradable disposable diapers, and that hasn’t happened yet. There may be a conflict between safely containing the ‘insults’ (as the biz calls them), and having them later break down in landfills. Malcolm Gladwell wrote a typically engaging piece about disposables in the 2001 New Yorker, here, where he notes that their key feature is how much shelf space they take up. Stores have to move a certain dollar volume per shelf foot, and the diapers are bulky, so more absorbent polymers mean thinner diapers and therefore more successful brands. Degradability probably has to take a back seat. Curtis also started writing children’s books along with illustrator Laura Cornell when her daughter was about seven. They’re entirely charming, and my own kids love them, especially “Where Do Balloons Go? – An Uplifting Mystery”. 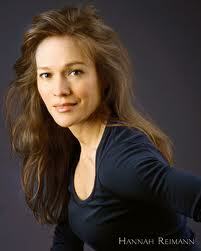 Reimann is a classical and jazz pianist and singer in New York. She has a striking voice and a sort of Windham Hill sound overall. She’s been in a couple of indie movies, but little yet of note. Her invention is a way to replace a standard piano keyboard with one that has narrower keys, permitting people with smaller hands to reach a wider range of notes. It involves a minimum of modification to the piano itself; just the keyboard needs to be swapped out. The ultimate hope, I suppose, is that the keyboard can be a modular unit on a standard piano, and each player can have one that fits their hands. Her patent was referenced by another from Yamaha, so it may go somewhere. It sounds like a great thing for musicians with tendonitis, but is probably as doomed as Dvorak keyboards. Of all the inventions described above, only spread-spectrum is a big deal, and the Lamarr/Antheil contribution wasn’t significant. That’s OK – hardly any patents ever amount to anything. What’s more interesting to me is what a range of inventors there can be. They aren’t all pasty guys in basements. These women all had pretty non-technical day jobs, and yet they still had worthwhile ideas. Anyone can contribute, if you see something that needs fixing.